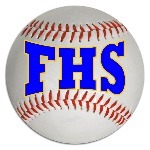 ​STANDISH — Bangor senior left-hander Trevor DeLaite held Falmouth to three hits as the Rams won their third straight Class A baseball state title, 5-0 Saturday afternoon at St. Joseph’s College. DeLaite struck out 10, walked three and picked off two runners. He also doubled to set up Bangor’s first run. Bangor celebrates with the trophy after defeating Falmouth 5-0 to win the Class A baseball state championship on Saturday at St. Joseph's College in Standish. Bangor took a 2-0 lead in the third. DeLaite followed a one-out walk with a double in the right-center gap. Derek Fournier singled home one runner and a fielder’s choice got DeLaite home. The Rams made it 3-0 in the fifth on a sacrifice fly by Jesse Colford and scored twice more in the sixth on singles by Peter Kemble, George Payne and Kyle Stevenson. Reece Armitage (7-1) allowed three hits and four walks and three earned runs in five innings for Falmouth. Cam Guarino allowed four hits and two unearned runs in two innings of relief. Falmouth threatened only in the fourth inning by loading the bases with two out before Delaite ended the inning with a strikeout.